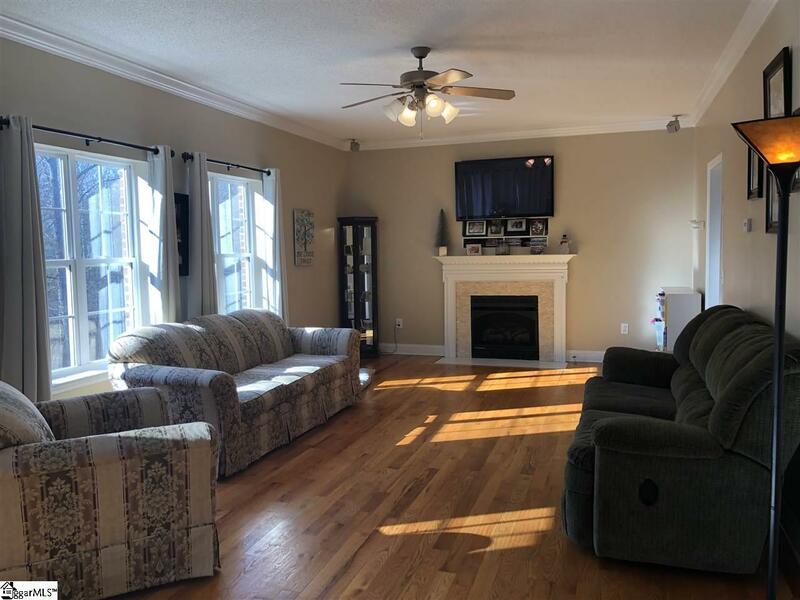 Conveniently located off of North Hwy 9 near Lake Bowen, just minutes to I26. .67 acre lot with large back yard with few neighbors in site . 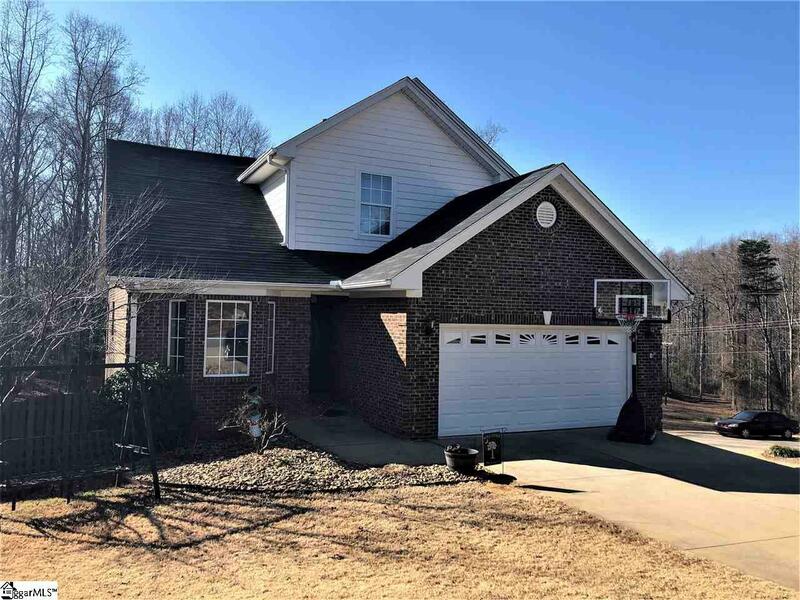 Entry into two story foyer, oak hardwood floors, formal dining room with vaulted ceiling plus breakfast area, open floor plan, spacious kitchen with solid surface counter tops and skylights, large den with gas log fireplace, 1/2 bath for company... all on the first floor. Rich look of 9 ceilings and crown moldings. 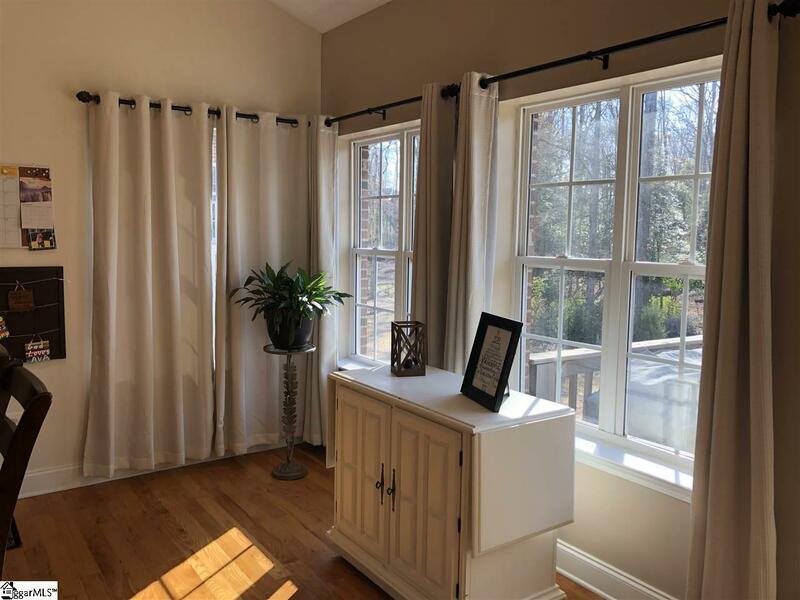 Upstairs has master with dbl French doors, private bath with dbl vanity, garden tub, separate shower, walk in closet . Two spare bedrooms share a bath accessed from the roomsl. 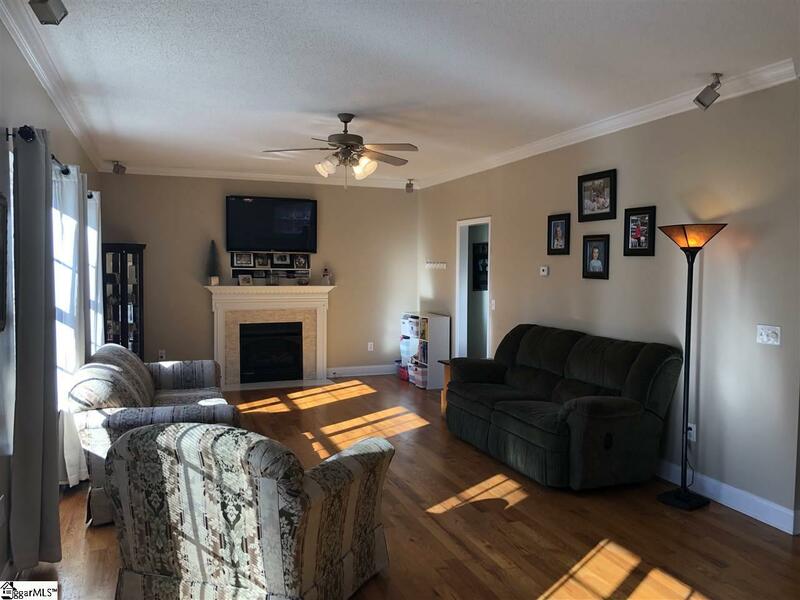 Lower level with walk out to large patio area, has rec room, 4th bedroom and 3rd bath. Plenty of storage. Great floor plan for lower level access for teen, or parent. Fenced dog run. Deck.